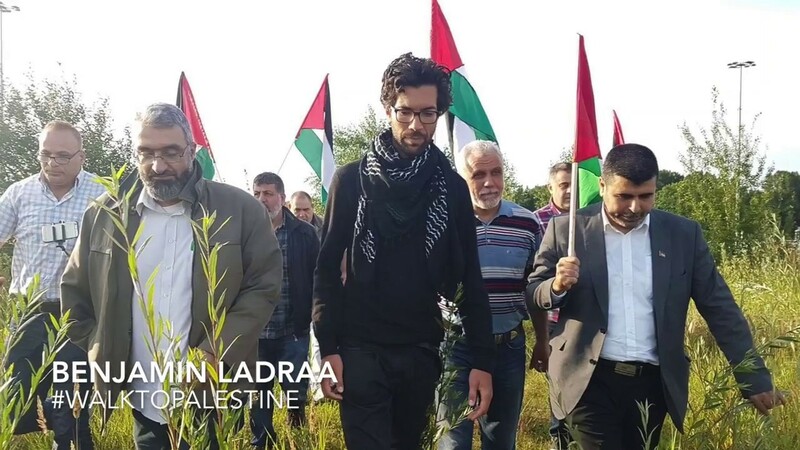 Earlier this month, Swedish peace activist Benjamin Ladraa was denied entry into Palestine by the Israeli government, after walking all the way from Sweden to Palestine. The walk took him approximately eleven months to complete, his goal to raise awareness about the Israeli military occupation in Palestine and the injustice and violence that’s being ravaged against the Palestinian people every day. Ladraa started his journey on August 8th, 2017, infusing meaning into his journey by traveling at the heels of these momentous, and devastating, events in recent Palestinian history. Like Ladraa, we want to spread awareness about these issues and past events. To clarify, the Balfour Declaration was a statement issued by the British government during World War I that announced their support for the establishment of a national home for the Jewish people in Palestine. This declaration increased support for Zionism in Jewish communities and is still considered to be one of the core reasons for the ongoing Israeli-Palestinian conflict. The Nakba Day was the day when 700,000 Palestinians were expelled from their homeland by Zionist occupation and apartheid. The siege on Gaza happened 10 years ago and hasn’t gotten much better since. The Gaza Strip is considered an inhumane environment, soon to be uninhabitable, and like an open-air prison for its civilians. Those last two lines are so powerful and important. Ladraa may really be on to something. Even though he wasn’t able to complete his mission that time, he made a huge impact by being denied as well because he showed the world just how cruel and irrational the Israeli state is acting. Ladraa even admitted that when he finished his schooling, he emerged with little knowledge of Palestine, making him realize that most other people probably knew close to nothing as well. If more people can take action as Ladraa has done, more minds would be opened, enlightened, and educated, which would hopefully in turn lead to more allies and activism.